Do the patterns of your life seem to have a momentum of their own? This is your opportunity to break through! Your old, reactive patterns of unknown negative energy don't have to direct your destiny any longer. 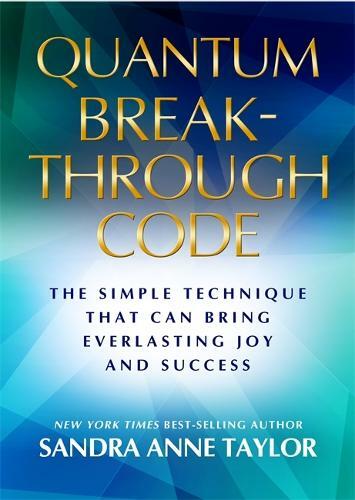 In this groundbreaking new book, Sandra Anne Taylor reveals the life-changing Quantum Breakthrough Code, the amazingly easy yet empowering technique that can completely reroute the direction of your life. Things will never be the same when you learn: . The extraordinary influence of your Personal Power Codes . How to tap the Breakthrough Forces that create your reality . How to Decode harmful energies and Code healthy and successful patterns . The Single Breakthrough Code that you can use any time, any place . The Surefire Rapid Visualization and Affirmation Technique Get ready for a quantum breakthrough! These fascinating, unbelievably quick and easy techniques will bring you a life of unparalleled joy and success.